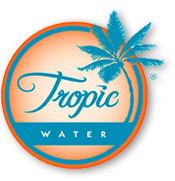 We are pleased to announce, that Tropic Water is now an authorized Waterlogic bottle-less Coolers dealer for the county of Maui. Made to the highest standard, only Waterlogic provides a full range of sophisticated and stylish bottle-less water coolers. With counter-top or free-standing models we have what you need to fit your workplace needs and standards. These fully certified Point of Use dispensers combined with our 3M water filtration equipment, and advanced UV purification provide an endless amount of clean fresh water with every dispense.